Being Home, coughing all day long and not being able to attend class was abit annoying and so i wanted to distract myself from this awful coughing nonsense. 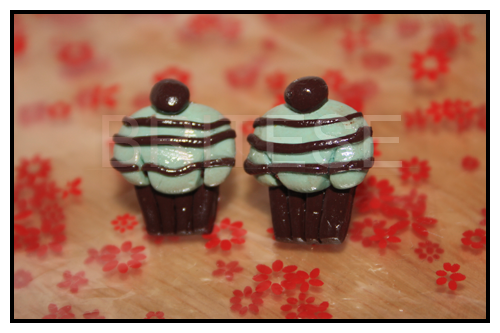 I went searching for my treasure of clay equipment which i haven't touched in months, and decided to inspire myself with tiffany boxes in mind changing them into cupcake treats for my ears ! as i needed new fun girly earrings for work. 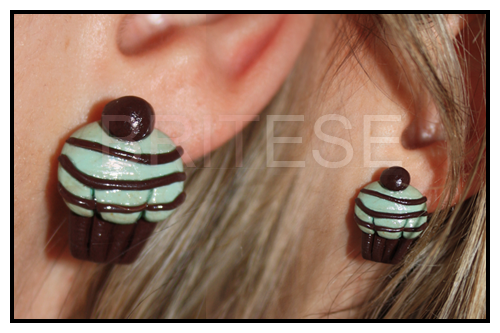 Today i made 4 pairs of these! 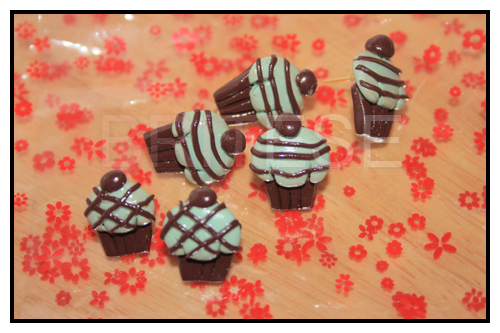 all mint and chocolate flavor! Next in line are lemon, strawberry and maybe lilac! All spring colours! So glad i still have all the equipment to make these, as it keeps me busy and it's a fun hobby! Hi I am a NEW FOLLOWER!